I just recently finished downloading & installed the Sims 4 from the sims 4 alternative installer v2. I installed some DLCs too, but one of them doesn't show up in game (Get Fanous), and while i didn't downloaded or installed the vampire GP, it somehow is in my game, not get famous. Btw i successfully made my household & choose to where to put yhem (and no del sol valley, but there's forgotton hollow - the GP that I didn't downloaded & didn't installed). I've double checked the files, and it clearly has get famous & no vampires. And now, my game is stuck in infinite loading screen (after trying to move in household). Do I need to re download the fix/patch/anything..? 1. 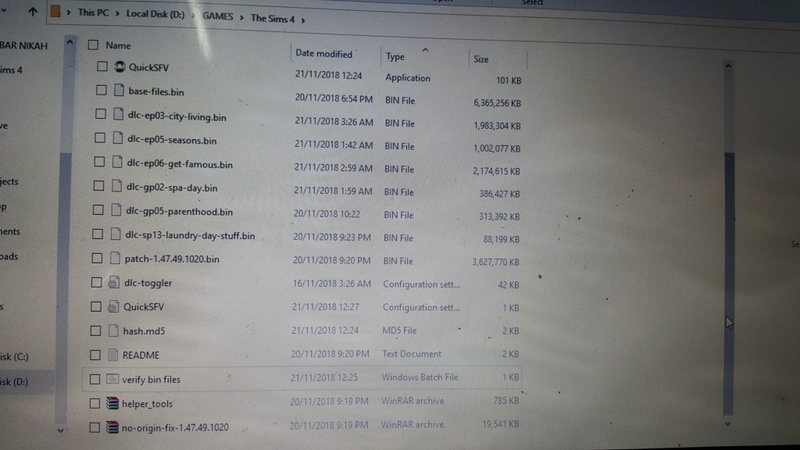 What files did you download? Post a screenshot. 2. Where did you install them? Was there a previous installation there? 3. Do you have any mods? Run the validator and post the result here. And open "dlc-toggler.exe", take a screenshot (there should be Print Screen or PrtSc button on your keybard, or just use Snipping Tool) and post here. I've opened the DLC-toggler.exe, and realized that I've somehow unticked all the boxes. So I ticked the ones I've downloaded/installed and tried starting TS4, it worked! It now shows only the EPs and GPs/SPs that I've downloaded, and no more infinite loading screen. Yay! I'm already playing the game as i type this. Thank you for your help!